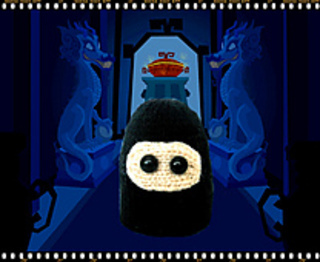 A 3 inch high pocket Ninja. Knitted flat on 3mm needles using scraps of DK/8ply yarn. Very quick knit, ideal for school bazaars or charity knits.